Weight: 260 gr. glass jar. Ingredients: Pulp chopped tomatoes, "Nocellara of Etna" green olives, black olives, capers, extra virgin olive oil, sea salt, sugar, garlic, anchovies, basil, parsley, chili pepper. It may contain traces of cheese, nuts, fish, celery. 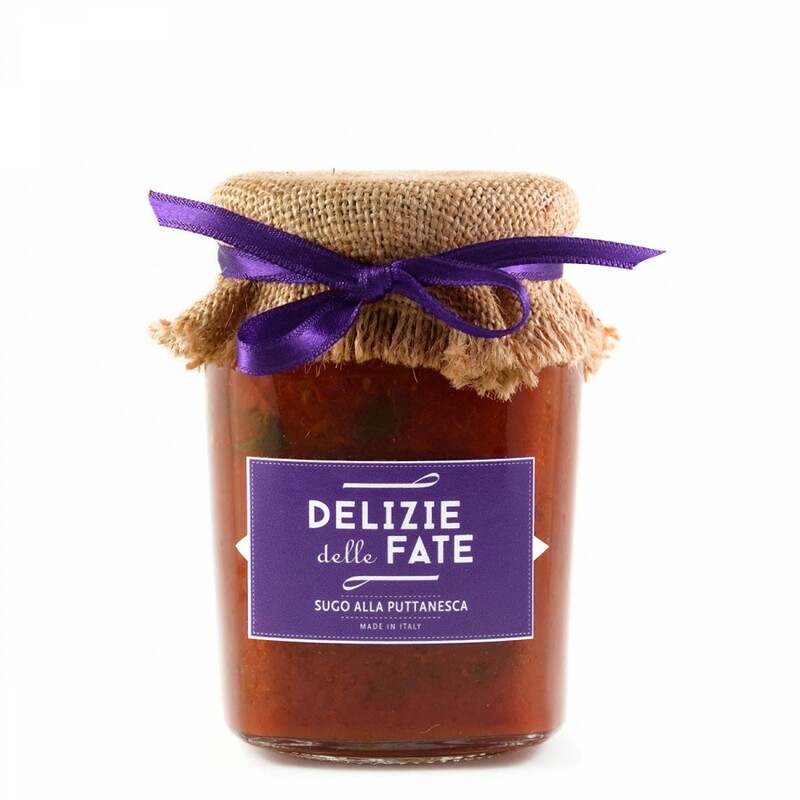 Description: The "Puttanesca" sauce contains all the flavors and scents of the Mediterranean tradition, to enhance the flavor of your pasta. It is made by selecting the best raw materials, processed in a traditional way, without preservatives.